All little children are fascinated by shapes and colors, even more so when they are changeable. The sorting box Triangle Trove will captivate your child. When the yellow upper lid is flipped over to the other side, new shapes are created with the lower wooden plate. 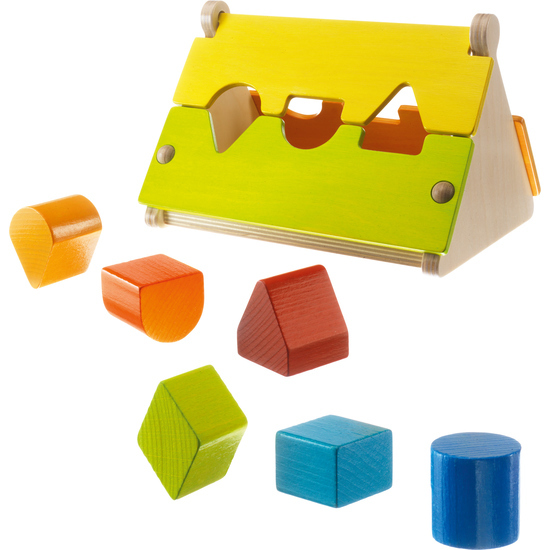 Surprising, built to last, super shape sorter fun time and time again. Contents: 1 sorting box, 6 wooden shapes.